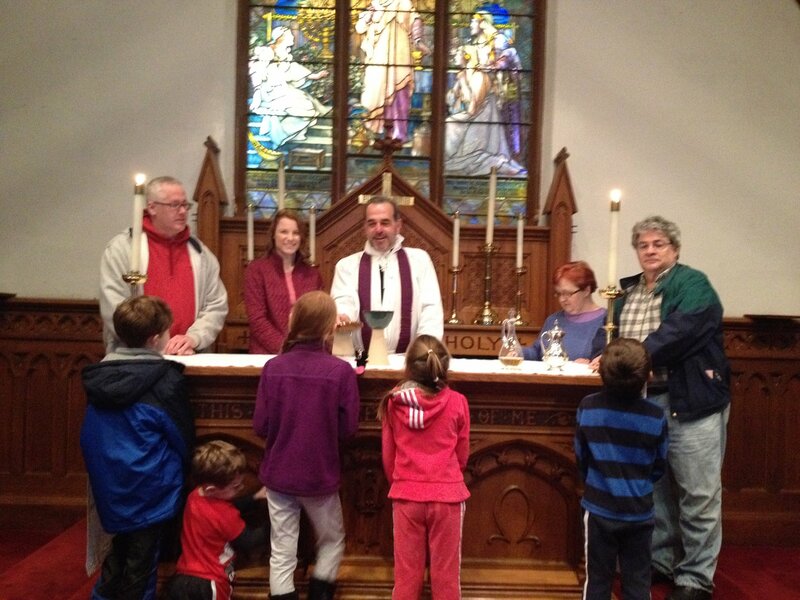 Children are welcome at all services here at St. John’s. At the 10 AM service, we offer supervised childcare in the nursery for infants and toddlers. For directions to the nursery, please ask a St John’s Welcomer. The Welcomers also have a collection of children's books, crayons and coloring books available for children. Saint John's does offer a short, fun worship experience tailored for families with young children: the Sunday 9:00 AM Family Eucharist. This service is an abbreviated and informal service designed for toddlers and young children until they come of age to participate in our children’s education program. We interact in three worship areas. First we sing and speak about Jesus and the Gospel story. Second, we relate to prayer, thinking of others, ourselves and then in structure (Lord’s Prayer). 3rd, we share the bread and cup in love and thanks for all we are and have.